As I mentioned in my previous post, I am a runner. 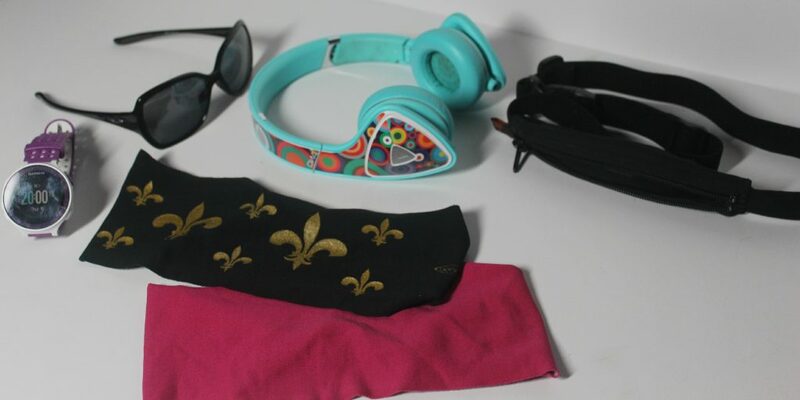 I wanted to share a few of my favorite things that I always have with me while running. I love this watch because it comes with a heart rate monitor and even if I don’t use the HRM, the watch tells me my distance, pace and tells me my personal records. It is also rechargeable and will stop and pause if I stop moving and then resume tracking me when I start moving again. I love that because sometimes I stop and talk to neighbors or stop to tie my laces. I am a sweater. I mean I sweat ALOT. I love these headbands because they are moisture wicking and comfortable (I have a big head). There are lots of patterns, designs and colors available. I have been wearing Oakley shades for a while. I had a pair of Oakley Necessity frames. They became damaged and I contacted Oakley to obtain repairs, however, they were discontinued. Oakley offered me 30% off to upgrade and I chose the Overtime frames. I love them. The nose pads are really cushiony (y’all have seen my nose right?!) and they don’t give me a headache as I have experienced before with other glasses I have worn before. Spibelt is an Austin, Texas based company. The Spibelt expands to hold phones, keys, cash, credit cards, and even does not bounce. It is the perfect thing to hold my phone and my house key while I run. My hands are free and there is no bouncing while I run. There is an opening to fit headphone cables through. I love the Spibelt!! !